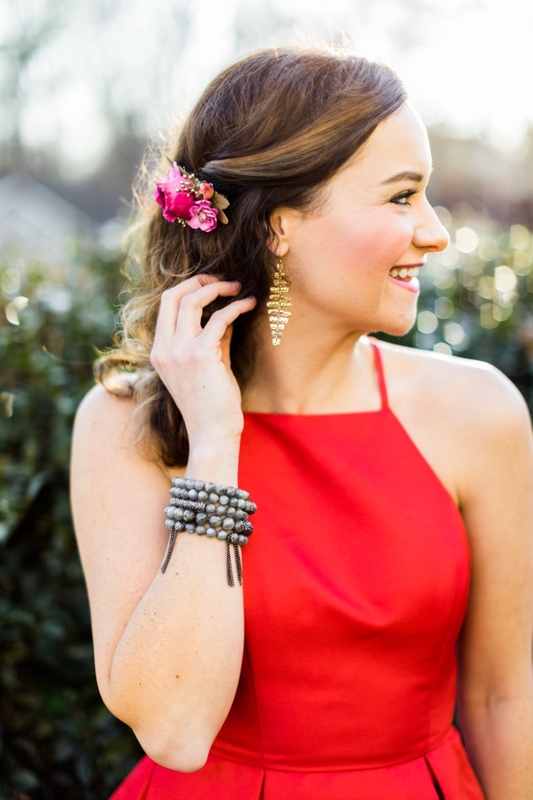 This is a BIG day on the blog, y’all! 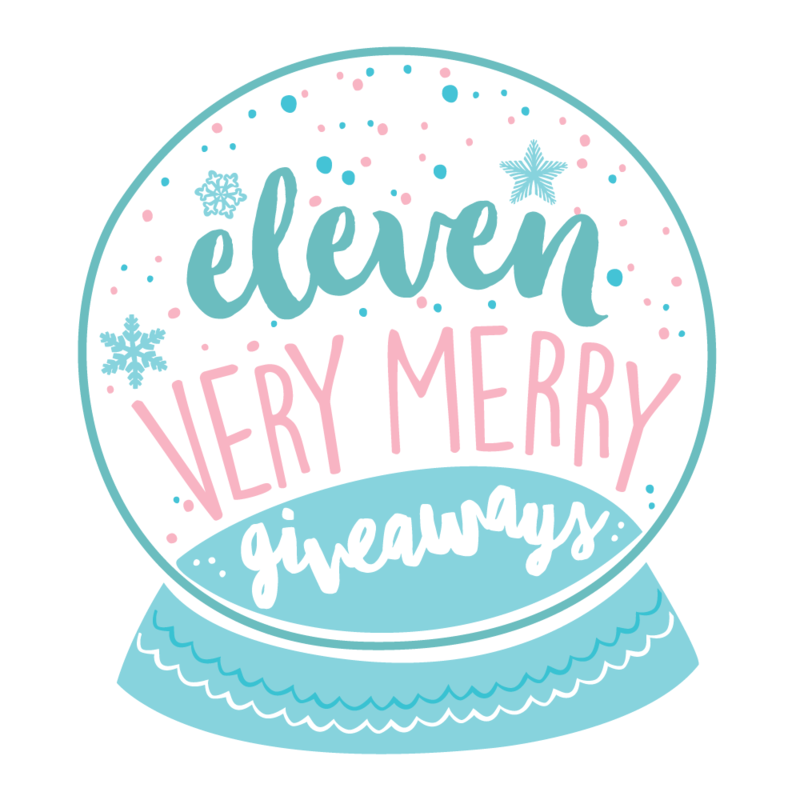 I’m hosting a giveaway, putting up my 2nd gift guide of December, and co-hosting a blog hop with tons of my blogging friends who are all offering you a giveaway too (more about that at the bottom)! 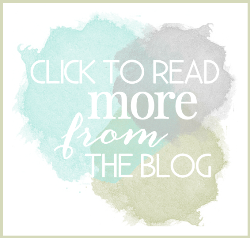 If you are new here, I’d love to welcome you to My Life Well Loved which is a blog about all the things in life worth loving: Healthy lifestyle, mom life, marriage, home & fashion. I’d love to have you visit my ABOUT ME page to meet our little fam which includes my “northern boy” as I called him in college and our 15 month old. 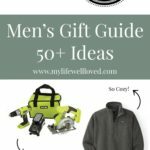 In case you are new to gift guides, here’s how it works. 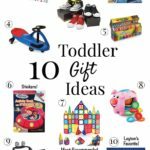 I have linked up my FAVORITE baby and toddler gifts that Leyton “wants” or has used the most in his first year of life. I’ve included shoppable links below so you just have to click the link to be taken directly to the product. Some of them are even on sale right now, so get to clickin! 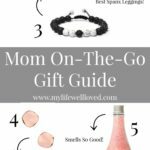 I’ll keep updating the blog with lots more gift guides so stay tuned. 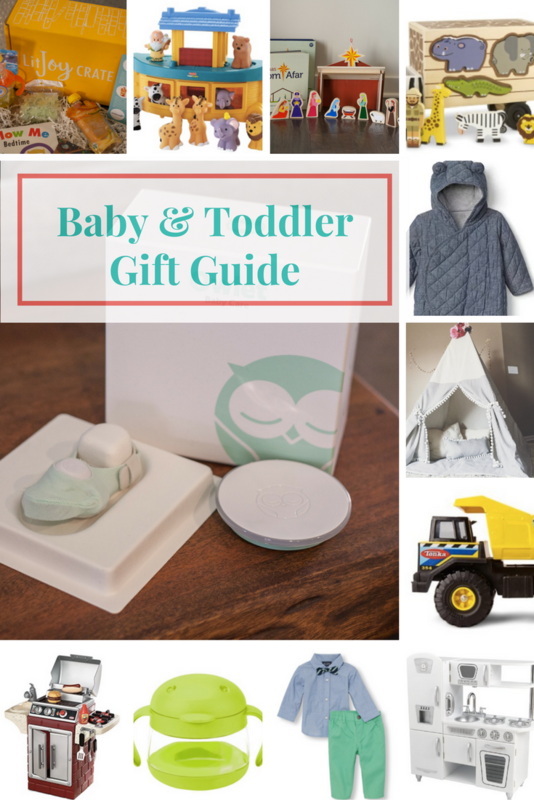 For now you can check out my shop local gift guide, men’s gift guide, my women’s gift guide under $50, and my baby bath toy gift guide. One of the biggest joys of Christmas this year is watching Leyton revel in the lights, the tree, and the decorations. 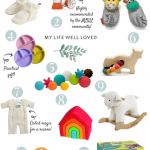 So, I’ve created several gift guides for babies so far. The first one is for baby’s first Christmas. I made it last year when Leyton was a mere 3 months old. The second one I did yesterday was baby bath toy ideas (& a giveaway so make sure you enter to win!) and today I’m doing a roundup for babies and toddlers with different toys and gifts that I’ve learned about and watched Leyton love over the past year. This one will be our baby Christmas gifts! Owlet: The owlet is a game changer in the world of parent’s ease of mind of sleeping at night. I wrote a whole post about our love for the Owlet here. The Owlet is a smart sock that you put on your baby’s left foot which monitors their heart rate and oxygen levels while they’re sleeping. A baby vitals monitor all within a little sock! It’s a safe way of using pulse oximetry in the home to help you know if your baby’s vital signs are where they should be. It informs you of their heart rate and oxygen levels through an app on your phone, and uses alarms designed to alert you if those levels fall outside of range. Their customer service is amazing, it’s a really cool newer technology and it’s a nice gift for grandparents to give! LitJoy: I learned about this subscription box for book lovers last year and was super impressed with the quality and awesome materials that came in our crate. We started reading to Leyton when he had his bedtime bottle from around the age of 2-3 months on. Thankfully, Leyton loves reading a bed time story with us each night so we love to add to our collection. You can change a young child crate or a young adult crate. You can see ours above. We absolutely LOVE reading Sleepyheads, it’s one of our favorite little books! Star from Afar: I featured this as my first gift of the day in my 21 Days of Gift Ideas on my Facebook page. This is a really cool interactive game and book that puts the focus on the meaning of Christmas. E&E Teepees: Another sweet Samford University gal started this business! Her teepees and teepee toppers and matching play mats and pillows are swoon-worthy. They make me want my own! This one is on Leyton’s wish list. Update: Katie let me know they are so booked up through Christmas, she can’t accept any more orders until afterwards. Little Tikes Grill Set: One of Leyton’s all-time favorite toys is his little grill. He got it for his 1 year birthday party from Uncle Kyle & Aunt Aron and he loves to carry around the hamburger bun and hot dog with him all around the house. Melissa and Doug shape sorting truck: I’ve heard lots of great things about this from other friends. Plus it’s good for their development to work on all those shapes. Kidkraft Kitchen: TONS of you have said you love this kitchen and several of you bought it when I posted about it on Black Friday/Cyber Monday. It’s on sale again, so grab it while it’s HOT! Warning: I’ve heard from several of you that it took you and/or your hubs up to 5-8 hours to assemble! So, make sure you tell Santa not to wait till Christmas Eve to set it up. Fisher Price Little People Arc: I’ve also heard lots of good things about the little people arc and nativity set. 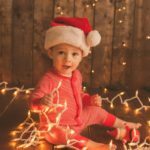 Clothes: I love asking for gift cards or baby outfits for Leyton from Gap (use code GIFTWRAP right now for 40% off! ), Children’s Place, and a multitude of small shops. Trucks: …or really anything on wheels! Leyton loves rolling his cars, trucks, and dump truck around and moving the drivers and trash cans and such around. Ubbi Tweats: I love using Leyton’s tweats for snacks on the go or just to have around the house. Since they have a rounded bottom they don’t tip over as often, they weeble and wobble. They also have a lid that securely snaps down so the snacks stay fresher longer. Gift Card: I’m just gonna be honest, no mom or dad is going to be upset if you gift them an Amazon, Target, or coffee shop gift card or even better yet a date night out where you keep their baby while they have some alone time. I’ve teamed up with 11 other blogging friends today to bring you tons of GIFT GUIDES & GIFT IDEAS! Each blogger has a giveaway and a gift guide so make sure to go visit their posts and enter to win their fun prizes too. You can see them all linked up below. 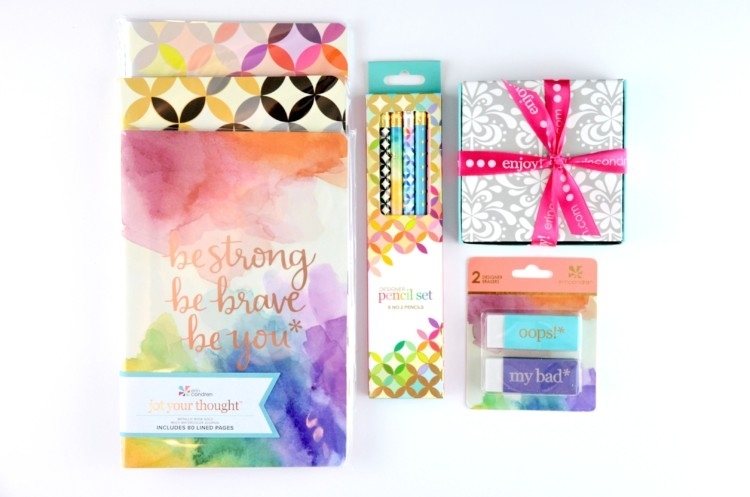 I’m giving away an organized mom prize pack including an Erin Condren notebook, pencil set, erasers, an UBBI tweat snack container I mentioned above and a few extra happies! (PS If you click that link to sign up with EC, you can get $10 off your purchase!) This prize is valued at around $35! Enter to win via the Rafflecopter below. Photos via Casey Marie Photography. This post contains affiliate links and I have been gifted some of the products in exchange for my honest opinions. Loving this baby Christmas gifts feature? 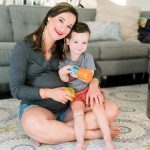 Take a look here for more of my motherhood favorites! That photo of him on the bed is precious!!! Oooh I want an Owlet monitor for my next baby SO bad!!! Love these ideas! The teepees!!! So darn cute. I want one for me! Bwah! I love that LitJoy Crate! So fun. 🙂 And that Noah’s Ark is too precious. Great picks! So excited to team up with you for this, friend! I totally need the Erin Conderen planner to keep me organized between my blog, work, and personal life!